The microbrew scene is exploding in Columbus! Learn more about how beer is made, taste a variety of styles at each destination and discover more about the backstory of each brewery. You’ll hear the stories behind each business and have a chance to meet a wide range of owners, brewers and craft beer experts. This tour is designed to be a fun, educational and delicious introduction to Columbus’ growing local beer scene. We will visit four craft destinations. We always start at Rockmill Tavern. Then we visit usually visit the following: Endeavor Brewing, North High Brewing and Barley’s Brewing Company. We may sometimes change out one of the three stops for Platform Beer Company, Land Grant Brewing or another nearby brewery in lieu of one of the spots in our more typical line up. This brewery tour is priced at $60.00. It includes tastings at 4 locations, a light snack at the first stop, air-conditioned van transportation between all of the stops and a guide with plenty of local craft beer knowledge. It lasts approximately 3.75 to 4 hours. 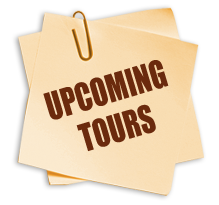 This tour is offered weekly on Saturdays. Please check the calendar for available dates.